Luttik, S.P. (2002, April 3). 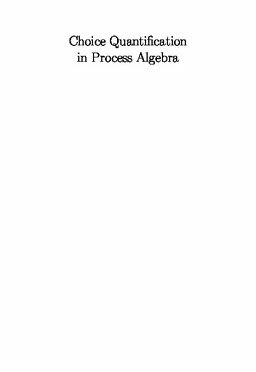 Choice quantification in process algebra (No. 2002-4). Institute for Programming research and Algorithmics Dissertation Series.